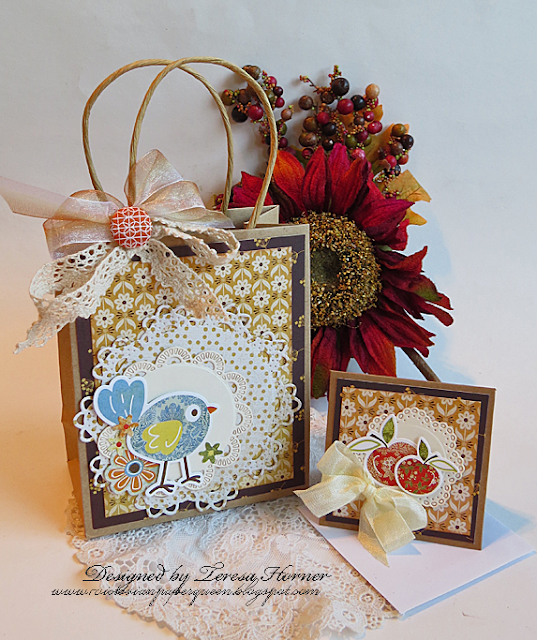 Hi Crafty RRR fans, it's Teresa here today to share an idea for a quick gift bag and card to give filled with maybe some yummy homemade jam and cookies for this fall. 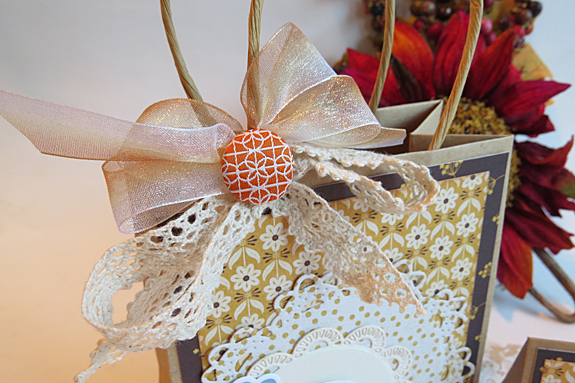 I was thinking if you wanted to share some of those homemade goodies with the neighbors, this would be a fun bag to send them over in and of course it has gorgeous ribbons from Really Reasonable Ribbon to make it that much more extra special too. For my project I used papers from Basic Grey's Vivienne, Herbs and Honey papers and Picadilly stickers. I loved the rich fall country colors of these and they all worked really well together. And for my ribbons I used some "Sheer Ombre Ribbon" and a little bit of "Crochet Lace" for the top. On the mini card I used "cream seam binding ribbon". I love this project so much!!! I would drop dead if someone gifted me this! Let alone the gift inside, this is a prize!!! Please, Please (DON'T) Let it Snow! RRR August Blog Hop Winner! Baby boy and girl cards..